A Local Area Network is also known as LAN or Network. A local area network (LAN) is a group of computers that are interconnected by wire, fiber or radio waves, and/or other equipment and software. The LAN allows computers to electronically exchange information and share computer resources within a limited geographical area. If you have two or more computers (desktop and/or laptop computers) you may want to network them together to create your own home or office local area network (LAN). Having a network will enable your computers to share files, printers, Internet access and peripherals, among other things. You'll need only one printer for both you and the kids and only one modem (and phone line) to access the Internet. Many game titles include a multiplayer option, so you and the kids can play games together even from opposite ends of the house. It also means that everyone can share frequently accessed and often changed files, such as contact lists, customer databases, sales orders and invoices, and word-processing documents. Believe it or not, building your home network isn't as expensive and complicated as you might think, although it probably isn't a project for every computing novice. There has never been a better time to set up a network. Lower prices, new technologies, and ease of use means the time is right to connect your home or office systems. Intriguing alternatives that employ radio waves, AC current, and telephone lines. These products typically contain enough hardware to connect two PCs, but make you add additional PCs and peripherals as you grow. We keep current with the new technology of software and hardware products. First generation products use inexpensive four-pair copper wiring similar to telephone cable to connect each PC to a central point called a hub. Whether it's 10 or 100 Mbps, it's easy and inexpensive to connect several PCs in the same room or in adjoining rooms by running cabling along the baseboards. If you want a neater look the third generation wireless products (LANs) use radio waves, electrical power, and telephone lines to transmit data. Which are considerably more expensive have been a mainstay in some industries for years, high price tags have kept the products out of the marketplace. If you're intrigued by a wireless solution but are put off by first-generation offerings, consider these more traditional products. 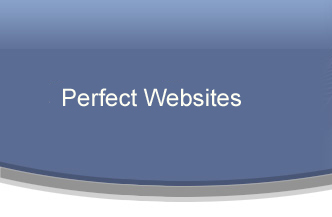 Perfect Websites will provide your home/office/faculty and staff access to the latest technology within a networked environment. Our goal is to provide the best local area network design, installation, and support services to you and your staff. We will meet with representatives from your department and discuss your computer needs. 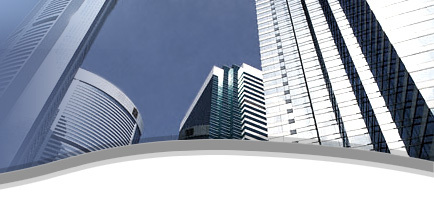 Our consultants will provide in writing what network design best fits your situation. We will provide installation and give support for hardware components for accessing to your local area network data. We offer standard training and support for your (LAN) workstations.